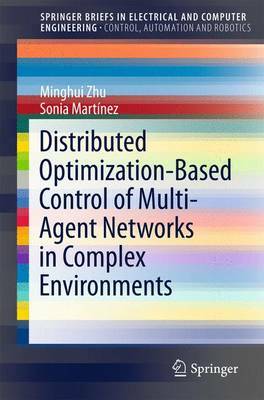 This book offers a concise and in-depth exposition of specific algorithmic solutions for distributed optimization based control of multi-agent networks and their performance analysis. It synthesizes and analyzes distributed strategies for three collaborative tasks: distributed cooperative optimization, mobile sensor deployment and multi-vehicle formation control. The book integrates miscellaneous ideas and tools from dynamic systems, control theory, graph theory, optimization, game theory and Markov chains to address the particular challenges introduced by such complexities in the environment as topological dynamics, environmental uncertainties, and potential cyber-attack by human adversaries. The book is written for first- or second-year graduate students in a variety of engineering disciplines, including control, robotics, decision-making, optimization and algorithms and with backgrounds in aerospace engineering, computer science, electrical engineering, mechanical engineering and operations research. Researchers in these areas may also find the book useful as a reference.